Wiley offers a comprehensive study program for all levels of the CFA Exam. Program options range from self study options to more comprehensive class room led instruction. In this article, we provide a detailed review of the Wiley CFA exam prep products and my personal experience using the program for level 1 of the CFA exam. The CFA Level 1 test is a lot like entering the shallow entrance of a large Olympic-sized pool before swimming across. This is by design. You are starting a long journey through a series of three tests (the CFA designation) that will arguably get narrower but deeper as you swim in your lane to the other side. 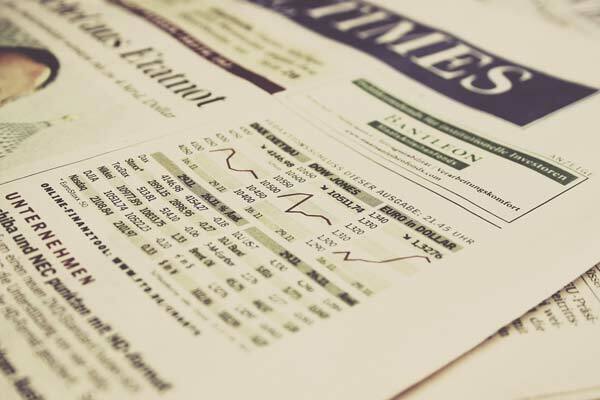 Indeed, Level 1 is the initial test covering myriad topics of interest to analysts such as economics, finance, accounting, and corporate governance. It covers nearly everything, but at a very shallow level, much like just entering the pool. This article will help you develop a strategy to swim across to the other side, focusing on what skills candidates should develop to be successful. It will also include a review of Wiley CFA’s test preparation materials to help you reach that goal. 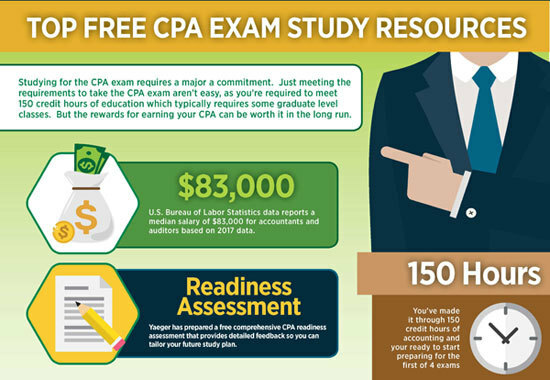 See our guide to the Best CFA Exam Prep Providers here. The skills needed to excel at the CFA exam are simple to understand but may be difficult to develop, particularly in a short period of time. The Level 1 test is actually a blitzkrieg of two timed tests, both 120 multiple choice questions over a three-hour period, held during morning and afternoon session. One might think that the multiple choice format makes it easier as one can eliminate incorrect answers even if the correct answer is not clear. There is some truth to this statement; however, this sentiment can also give one a false sense of security. The real challenge of the test is the recall and intellectual agility needed to answer a barrage of questions that hop from topic to topic, quantitative to qualitative skills, over a fixed time period. First, the ability to read, process, and retain information quickly. Most candidates, particularly those already in analyst positions, may already possess a good base for these skills. However, the CFA exam will test the skills in a more integrated way than many academic or work environments, even at the graduate level. For example, some of the long text questions on ethics will turn on just one word or one phrase in a densely detailed paragraph, which will require the candidate to simultaneously recall the ethics standard. The next question may switch to an analysis of the F-Test, leaving text recognition ability far behind for numerical ability. Due to the integration, make no mistake: traditional college studying habits, including cramming, will not likely work for this test, although extremely smart individuals may pull it off. The soundest strategy is to gradually build up a strong body of knowledge over time. Thus, by the time the test rolls around, you will be able to recall the information without freezing. Second, the technical ability to use technology (the financial calculator) to your benefit. Although this point may be understated by some, the CFA test will be remarkably easier if one knows the basics of the calculator and can execute functions quickly. This is particularly true of more complex functions such as ‘STAT’ and ‘DATA’, both which help candidates analyze data quickly. Many problems that seem to be time killers on first glance can be handled quite quickly with the right calculations. Third, the intellectual nimbleness to jump from question-to-question without getting fatigued. This is not a content-based issue, but simply one of withstanding the rigors of the test. Many candidates are actually successful applying the first skill of content mastery and retention, but fall down on the second: the grind of moving from question-to-question with different content. Thus, this skill must be practiced over time and intentionally. The usual way is to time practice sets where one goes through 50 or 100 questions over a specified period of time. By building up endurance gradually over time, this skill can be mastered. Due to the daunting nature of the skills needed for the test, such as those mentioned previously, many test takers choose test preparation for help. While Kaplan is undoubtedly the oldest and most popular test preparation service, several new comers, such as Wiley and Bloomberg, have also joined the CFA preparation race. Before giving my impressions of Wiley, I first offer a recommendation: whether you choose to use a test preparation company to aid your studying or not, maximize the study materials given from the CFA Institute, including the practice tests and questions. It is always advantageous to know what the test makers think is important. Even more valuable is to understand the exact language that they use to express certain concepts. Time is limited for all candidates, but even just a brief look over will help candidates on test day. Wiley offers a wide range of CFA preparation packages from the “Platinum Course” to the “11th Hour Review Course.” As someone who likes to use the materials on their own, I selected the “self-study course”, which offers access to the main technology platform without virtual live classes. Wiley’s CFA content delivery is based on an adaptive event planner and delivery system that breaks down the CFA into digestible parts segmented by LOS. The candidate is able to review the main text for each section, and once finished, he/she can opt to take review questions. At the end of each section, there is a longer review that goes over the main concepts in the section. Other review materials are also provided such as formulas, calculator sheets, and test-taking tips. Products provided: Online lectures, bite-sized lessons delivered online, formula sheets, course outlines, two mock exams, practice questions, all 11th hour review products (including review guide and mock exam). Best suited for: Students new to or unfamiliar with the CFA, or those without a robust background in finance-related topics. This package offers everything that Wiley offers: from online classes to all online review content and the 11th hour review guide product helps to boost confidence in the months and weeks before the CFA test. Products provided: Online lectures, Bite-sized lessons delivered online, formula sheets, course outlines, two mock exams, and practice questions. Best suited for: Students new to or unfamiliar with the CFA, but just want a basic course without paying more for review materials. The gold course provides students with the benefits of online classes and online content, but does not include the final review materials. Products provided: Online lectures, bite-sized lessons delivered online, formula sheets, course outlines, two mock exams, practice questions. Best suited for: The Silver course is the middle option of Wiley offerings. It offers fewer benefits than the more expensive packages that provide all content and the review package, but it does provide live classes for students in addition to all of the online content. Products Provided: Bite-sized lessons delivered online, formula sheets, course outlines, two mock exams, practice questions. Best suited for: Motivated individuals that want the basic materials offered by Wiley without the class option. If you already have a good idea of the test and just want to review on your own, this is the most cost-efficient option for the content offered. Products Provided: bite sized lessons, formula sheets for concepts, 11th hour study exam review guide, and 11th hour mock exam. Best suited for: Individuals that have already studied the material are looking for a rigorous review. The 11th hour review guide and mock exam are the main items of value here. Note: It looks like the 11th hour review isn’t available for 2018. Bite-sized lessons: Bite-sized lessons are the breakdown of larger macro concepts into individual topics. For example, the CFA tests the discipline of economics. Within economics, however, there are myriad topics ranging from supply and demand to foreign exchange. The bite-sized lessons, delivered on its online proprietary platform, allows the student to focus on the sub-topics that compose the larger topic. The lessons provide the main text lesson for the sub-topic followed by review questions immediately after. Course outlines: The course outline is simply a course outline of the topics that the course will cover in chronological order. It also offers dates that candidates should complete material by to stay on schedule. Formula sheets: Formula sheets are sheets of the formulas expected to appear on the CFA exam. The CFA Institute doesn’t provide formulas to solve any of the problems; thus, one of the main challenges is to memorize the formulas for main concepts, which can be done easier by memorizing these sheets. All of the main formulas are provided in this product. Mock exams: Mock exams are likely one of the most important products. Mock exams are meant to simulate the number and content of questions that a candidate will face on exam day. The main difference is that the candidate will take the three-hour test on-line, while the real test will be taken off-line. Candidates should seek to take as many mock tests as possible before test day. Online lectures: Online lectures provide the student with the opportunity to get weekly instruction on the major elements of the curriculum from an instructor. The main advantage of this offering is having someone talk through the concepts; there are also opportunities for questions at the end. Students who thrive in a more interactive environment may appreciate this option. Practice questions: Practice questions are also very important. Practice questions are questions provided on each topic for the candidate that test covered material. Unlike mock exams, these questions are not necessarily timed and can be taken at one’s leisure. Candidates should look for packages with a robust number of questions spread out over all topics on the test. In particular, one should take note that practice questions for discipline topics (e.g., economics, accounting, quantitative) largely mirror test topics. Indeed, there are only so many ways to test LIFO and FIFO inventory methods. In my opinion, the biggest wildcard is ethics, particularly the ethics standards scenario questions. Due to the text density and length of the questions, candidates would be well advised to carefully look at CFA definitions and questions rather than simply rely on practice questions. In addition, particularly ambitious candidates may want to try and make up their own questions of individual ethics standards to deepen concept mastery. Review materials: Because review materials have substantial overlap with some of the products covered here, they will be treated in one category. A last-minute review of the key concepts presented in a booklet. Think of this as “Cliff Notes” to the CFA that will help candidates focus on key concepts before the test. A final mock exam. This mock exam does not differ from other mock exams. It is merely put in a different package. The bite-sized lessons allow one to focus on one topic (e.g., demand in economics) without being overwhelmed. Indeed, I was able to easily digest the main points and then take review questions on the concept to deepen understanding. The practice questions were also vitally important. They provide a good opportunity to review the concepts, and if one uses the provided timer, you can do so under near test-taking conditions. This practice will allow you to excel on the day you take the test. Read, process, and retain information quickly: Wiley earns high marks for developing this skill. Unlike some other CFA preparation companies, Wiley does not dilute the density of the text or the content offered. Reading through each lesson will definitely prepare one for the test. The review questions are also thorough and useful in consolidating the concepts. Use technology (calculator) to your benefit: Wiley also knows that a CFA candidate proficient in using the financial calculator is a better prepared candidate. They offer a calculator guide that familiarizes one with all of the functions needed to be successful on test day. Fortitude to jump from question-to-question without getting fatigued: This skill relies more on providing the right materials for candidates to practice. Wiley offers two full-length exams, as well as a plethora of quality practice questions. The platform provided by Wiley is sufficient to develop the fortitude required. Overall, I was pleased with Wiley’s offering and would recommend them to others. Their pricing is also broadly in line with other test preparation services. I felt prepared for the test to the extent one could. Test preparation will always be a daunting process, but completing all of the exercises and questions will give you confidence. Candidates should also be warned: “feeling prepared” for the test will be a feeling that comes and goes more frequently than hunger. It may be a good idea to write down the test scores you achieved on mock exams and practice questions to (re) convince yourself of your knowledge base during the critical, nerve-wracking days before test day. The CFA test at any level is a robust challenge that requires time and discipline. However, one will only realize the knowledge and benefits by jumping in and starting to swim. By understanding the skills needed and the resources available will help one not only to get to the other side but in record time.